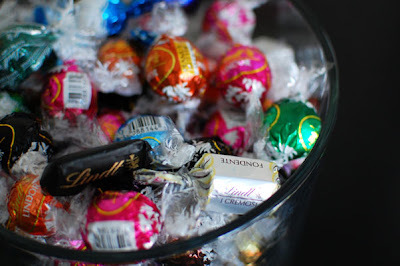 Lindt recently launched a home party program called Lindt Chocolate R.S.V.P.. At hosted R.S.V.P. 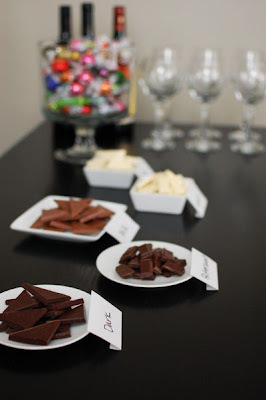 home parties, consultants lead tastings and earn extra income by selling Lindt products and gift items. Guests enjoy the tastings while learning some great chocolate tips. When I was contacted by Lindt to host a wine and chocolate preview party, I obviously said yes! Chocolate and wine are two of my favorite things! 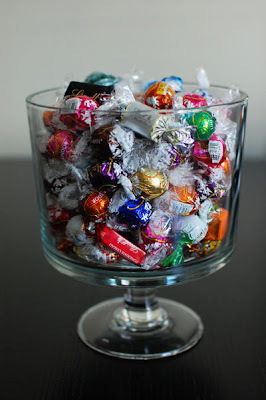 The centerpiece of my party was a huge bowl of Lindt candies. It included a variety of their famous Lindt Lindor truffles along with other goodies to boot. My friend M and I fell in love with the truffle in the black wrapper – the extra dark. There were only a few in the bowl and he definitely got the last one! Prior to the party, I hit up my local wine store to grab a few bottles of wine for the tasting and cut the chocolate in to bite size pieces. We were having our wine and chocolate tasting party after dinner, and it served as a great dessert course. 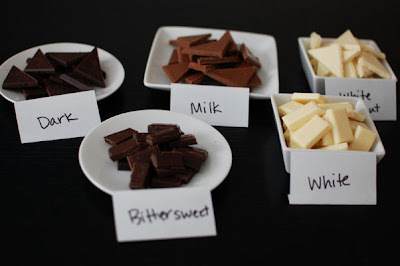 To taste each chocolate and wine combination, we followed the steps laid out in the R.S.V.P. Party Guide, taking breaks between each pairing to cleanse our palette with some water and crackers. The steps we took were similar to what you may have experienced in other wine tastings. We started with the Excellence White Coconut bar since it has the lowest amount of cocoa. 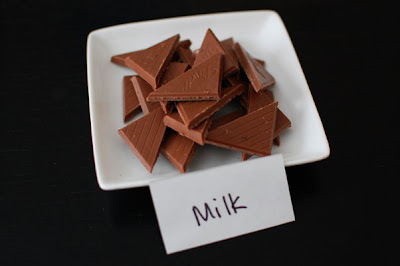 The recommended pairings for this chocolate are a sweet Riesling, a sparkling pink or red wine, a Muscat, or Muscato. I have to admit this chocolate was really the shining star of the night. We were all intrigued by the white chocolate and coconut. 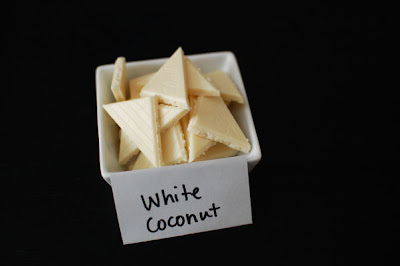 The mild flavor of the white chocolate paired beautifully with a sweet wine and the subtle coconut flavor really brought everything together nicely. Next up was the Excellence Extra Creamy Milk bar. The suggested pairings for this chocolate are a buttery Chardonnay, a Pinot Noir, or a Merlot. This milk chocolate bar was indeed very creamy. As expected, it paired beautifully with the Pinot Noir I had selected. Milk chocolate is one of my least favorite chocolates, but I really enjoyed the last step of the tasting with this combination. The melty chocolate mixed with the fruity wine brought out new flavor notes in both the wine and the chocolate. The last chocolate we tasted was the Excellence 70% Cocoa Bar. 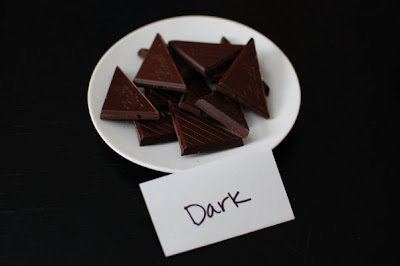 This dark chocolate should be paired with a Cabernet Savuvignon, a Merlot, a Syrah, or Shiraz. The spiciness from the wine that I chose complimented this bar really well. I’ve always been a huge dark chocolate fan, so it was no surprise that this chocolate was one of my favorites. I also had some of the white chocolate and bittersweet chocolate for my friends to taste even though it wasn’t part of the official tasting as outlined in the R.S.V.P. Party Guide. At the end of the night, the two favorites among the group were the Excellence White Coconut bar and the bittersweet chocolate bar. If you’re interested in placing an order or wish to learn more about the opportunities that Lindt Chocolate R.S.V.P. has to offer you can send an email to RSVP Customer Service for more information. Disclosure: Lindt provided the chocolate and the means to purchase the wines to pair with them. All opinions are my own. This is everything i adore in one cake! I wish I can have a piece right now!